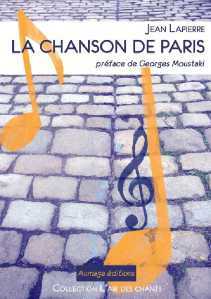 Chanson française A good way to understand a people is to listen to its music. French songs have a special flavour, a very sentimental tone, the lyrics are more important than the music. Very often they are based on a triple time rhythm and use instruments like the accordeon. most of them talk about love. 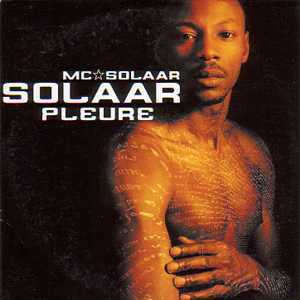 Multi-ethnic : reflecting French society, French songs are very open to foreign cultures and the most popular singers include MC Solaar (black rap), Zebda group (arab), Khaled (arab), etc... The future of French songs is clearly ethnic, at the image of the country. The most famous French DJ, David Guetta has sold over 40 million records worldwide. 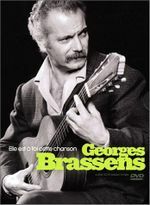 Georges Brassens (1950s-1970s), representative of the "chanson d'auteur" ("author's song", i.e.where the lyrics are essential or "chanson Rive Gauche" i.e. listen to one of his most beautiful songs ! DO YOU KNOW JOHNNY HALLYDAY ? 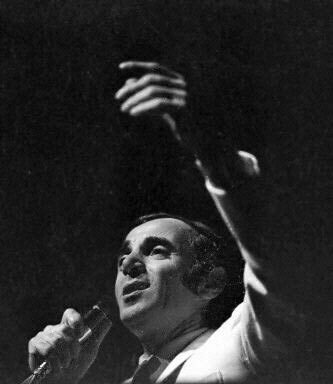 He died in December 2017. Very few Americans knew him and all of those who did mocked him and looked at him with scorn. Why? The 74-year old rock singer was among the most popular French singers but it is understandable that for most Americans, the words a "French rock singer" may sound as unexpected as "an English chef". However, Johnny was clearly a national monument and hundred of thousands of fans, including the President of France, attended his funeral. French Rap Music is very popular, with groups like NTM or singers like Diam's or MC Solaar. Diam's is France's most popular female rapper. Born in Cyprus and raised in a Paris suburb, Diam's is part of a new generation of French singers with immigrant roots. In her hit song, "Ma France à moi" Diam's, who wears baggy pants and keeps her hair cut very short, captures the feelings of the disaffected youth who don't relate to traditional France. An example of the merging of tradition with new forms is the singer (of Arab origin) Rachid Taha singing with his group "Carte de Séjour (Green Card) the old (1943) Charles Trenet standard " Douce France "
French music and the "exception culturelle francaise"
France is the only country in Europe where national music is predominant (2/3 of the number of records sold). Why ? 1918-1930 ("les années folles") : J'ai deux amours, mon Pays et Paris (1930) by Josephine Baker (listen to it) : love and glamour in 1920s Paris, discovering jazz, ..
Paris has always been a source of inspiration for poets and singers and some of the most popular French songs are about Paris. DID YOU KNOW THAT ...... ? If a French person can sing ONE song or play ONE tune, he/she will sing " Au Clair de la Lune ". The words are "Au clair de la lune, mon ami Pierrot, prête moi ta plume pour écrire un mot.....etc" i.e. " My friend Pierrot, under the moonlight, please loan me your goose quill : I want to write something" (it's more poetic in French !) and the tune goes like this. USEFUL TIPS......Every year, since 1976 the Mecca of French songs is the Festival de Bourges (in the center of France) in April. Very popular French singers include Francis Cabrel, Jean Jacques Goldman and the most promising young French singers seem to be Vincent Delerm, Mathieu Chedid, Benabar, Sanseverino, Thomas Fersen. Another very interesting Summer festival devoted to French singers is the "Francofolies de la Rochelle" (in July). More about festivals. To order lyrics online : Paul-Beuscher has a huge catalog. An excellent site is devoted to the history of French songs from 1870 to 1945, with large excerpts, lyrics and historical comments, many links to other sources. It includes the"50 best French songs", from Le temps des cerises to Les feuilles mortes. DID YOU KNOW THAT.....? On French TV and radios and in CDs, there is of course a very fierce competition with American singers. Here are the figures for 2003 : French songs represent 22% of the market on radios, 60% of CDs sold. This is considered a relatively improved situation. Read about the "exception culturelle". Jazz is alive and well in Paris : see where. This page is still under construction : please write to me to help to improve it. DID YOU KNOW THAT ? When you learn music in France (and in other Latin countries), you don't call the notes " A, B, C, D, E, F and G " but " do, ré, mi, fa, sol, la and si ". Read about French artists no one knows outside France (and US artists the French like the best) and discover unknown Paris. To email me This page is one of the 10 most visited pages of the site. If you like this site, please bookmark it or create a link.